Kansas has 74 designated opportunity zones, including 70 low-income communities, plus 4 non-low-income contiguous tracts. Kansas gave some preference to their rural areas when nominating opportunity zones. 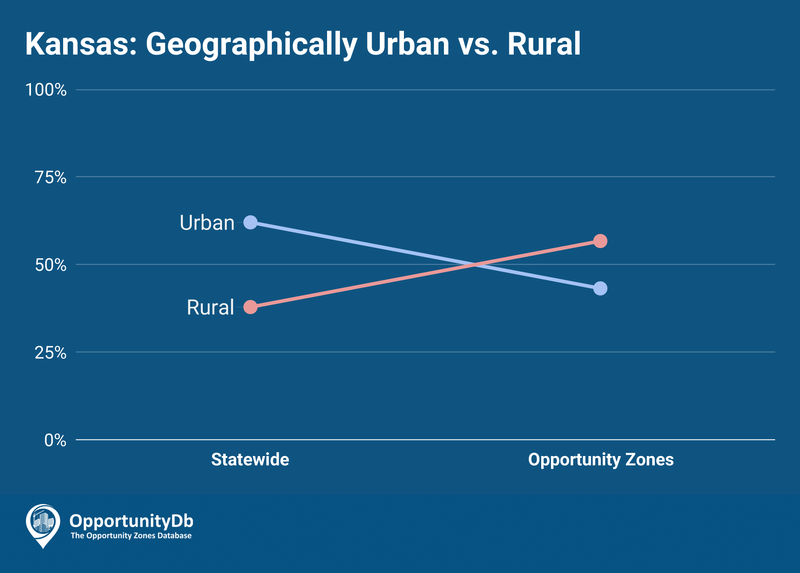 Statewide, just 38 percent of Kansas’ census tracts are located in rural areas, but 57 percent of their opportunity zones are rural.